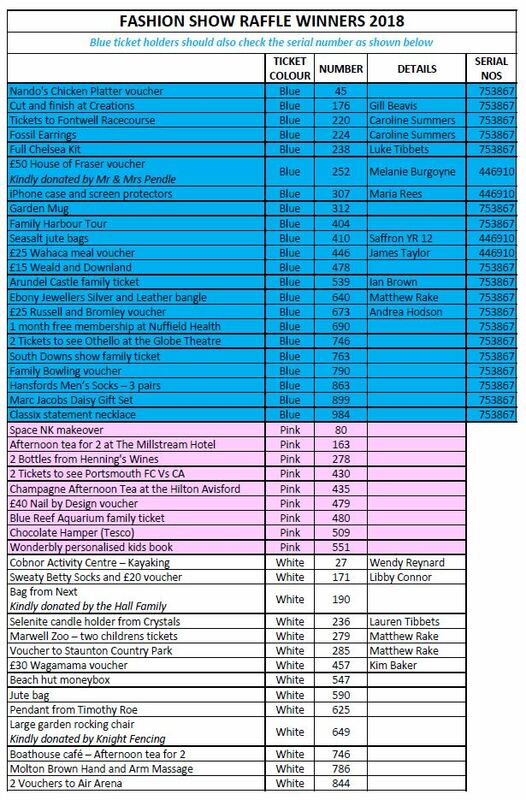 Please find attached the winning numbers from our Fashion Show Raffle. 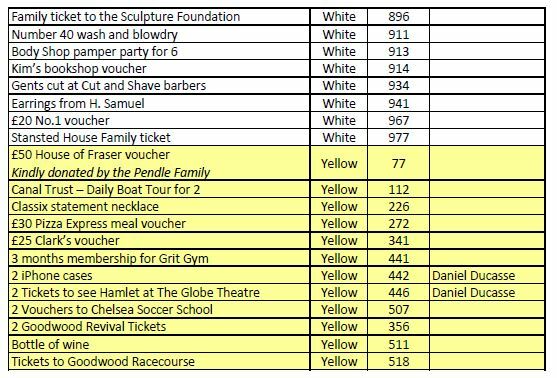 Prizes can be collected from Sixth Form Reception until 4pm today (Thursday 29th March) or from Monday 16th April. 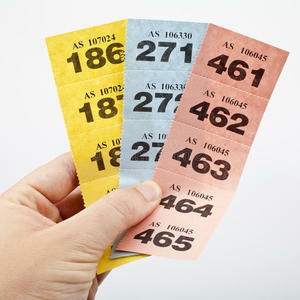 Prizes that have not been collected by Friday 20th April will be auctioned at a later date. The Fashion Show was a great success and we are delighted to announce that we raised a total of £2,000.41 for the sixth form charities. Stonepillow - a local charity supporting the homeless by offering short-term shelter as well as by aiming to empower those most vulnerable to make positive changes in their lives and ultimately to integrate into society with homes and jobs. Bassy’s Charity - a charity established to support a Kenyan orphanage and the students who frequent there, in loving memory of a student from our Sixth Form. The Rainbow Trust – a charity that cares for families with children with life-threatening illnesses or with those that are terminally ill. Providing both emotional and practical support to whoever needs it.